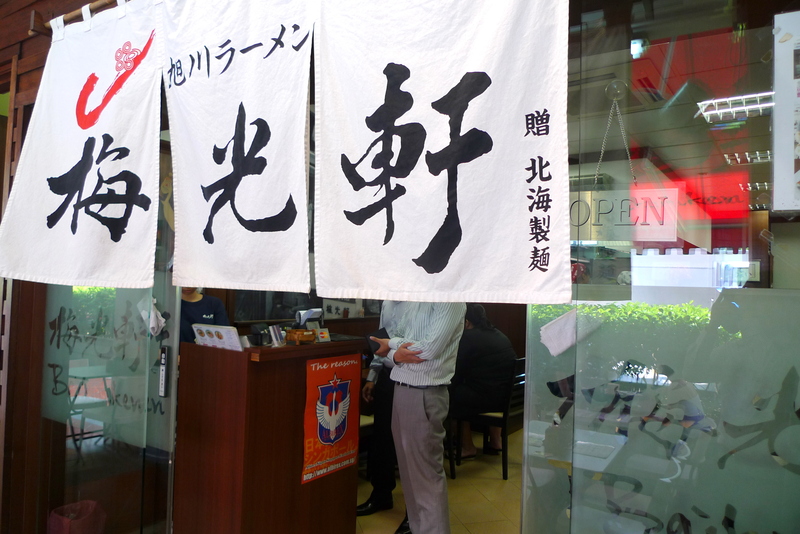 Barely 3 years old, Baikohken has already established itself as one of the best Ramen-Yas in town. The StanChart Top 10 Ramen Polls held recently perked my interest in Ramen that had laid dormant of late. Hence when HY mentioned about this good Ramen-Ya he had heard about in the Raffles Place vicinity, I had a clue it might be Baikohken so I was roaring to go! I’m a failure at Ramen theory 101. Ok, at least I can tell apart the Shio(Salt), Shoyu(Soy) from the Miso broth but whenever I hear Hakata-style, Kyushu-style or Hokkaido-style, I don’t have a freaking clue what the difference is. 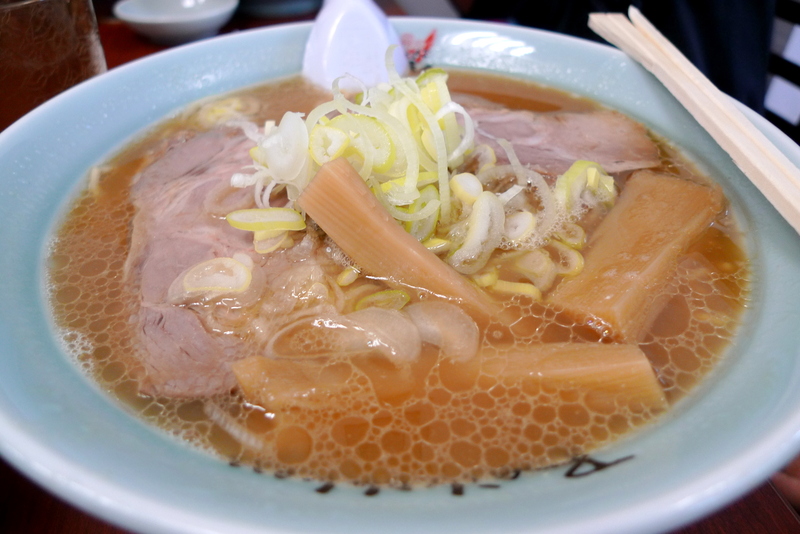 I’m superficial, there are only 2 ramens types to me, nice and not nice…with Baikohken’s being part of the latter. Every time I visit a Ramen-Ya, I will always order the Gyoza($5.50++) to satiate my itchy mouth before the main attraction. 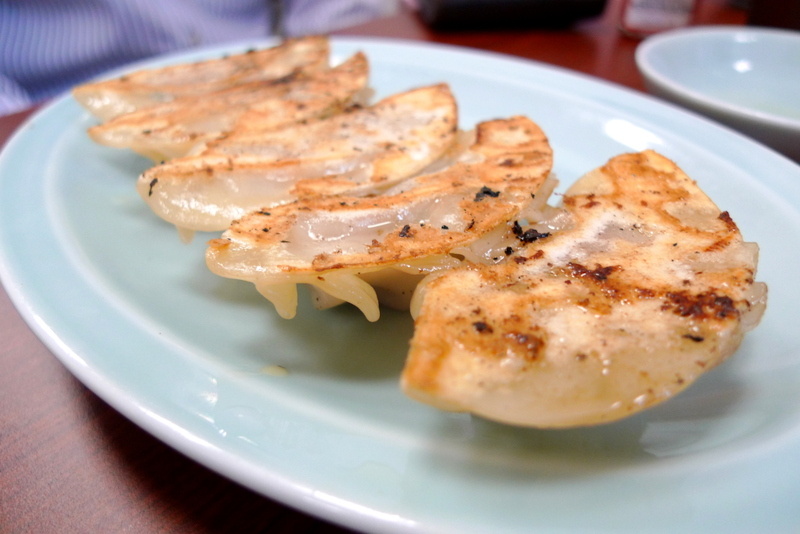 The Gyoza here was really something else, possibly the best pan-fried dumplings I have eaten from a ramen shop. The skin is fried to a nice crisp and a quick swath of vinegar makes for the ideal palate teaser. Shio Ramen($12++)‘s broth was rich but a tad salty(though less salty than Sapporo Miharu). 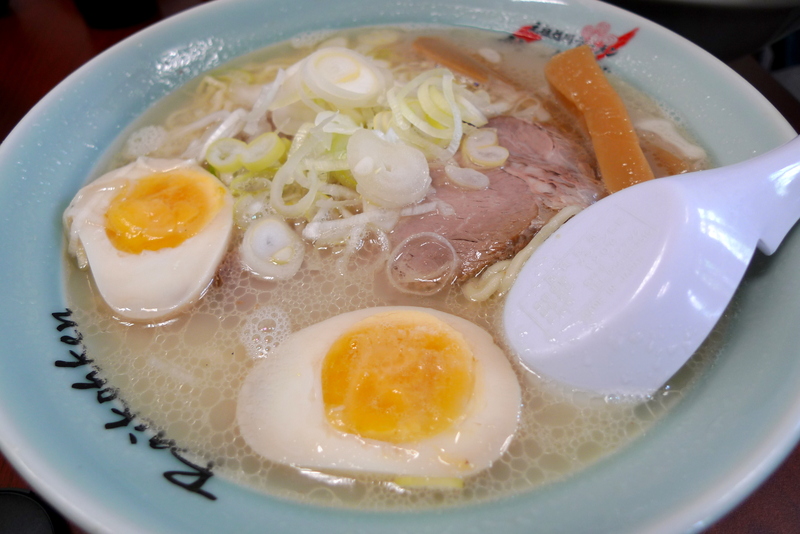 The texture of the ramen reminds me of instant mee! But hey, instant mee can be nice too, especially after soaking up all the rich tonkotsu broth! The Ramens here unfortunately doesn’t come with Egg($1++) but I strongly recommend insist that you add it on because it’s one of the best ramen eggs I have come across with the egg white consistently soft and bouncy with a just barely cooked yolk. I preferred the Shoyu Ramen($12++) though. The broth was less salty than the shio one and caught my fancy. The chashu here was pretty lean yet tender and tore apart easily. Oh yeah, instead of the generic green tea, Baikohken serves Wheat Tea which tastes somewhat like a watered down ocha and I liked it! The ramen and gyoza here were awesome and if not for Santouka’s Kurobuta Pork Cheeks, Baikohken would be in the running as my favourite Ramen-Ya. Categories : All YumYums in my TumTum, Cuisine Type YumYums, Japanese, Location of YumYum, Raffles Place, Yummy!